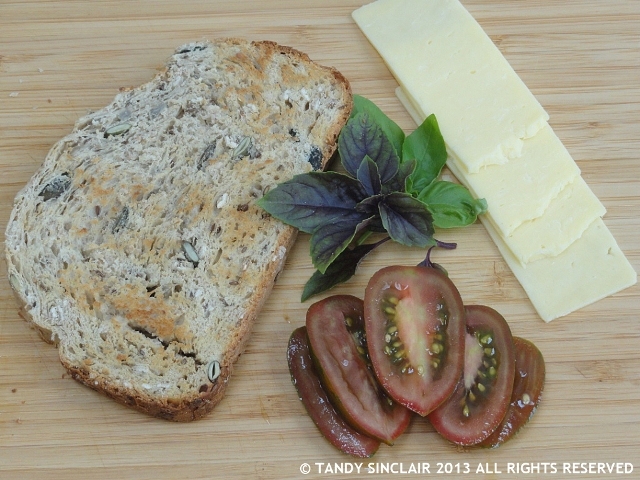 This seed and oat daily loaf is perfect for school and work lunches. Bread is not something I eat every day as it tends to find its place on my hips far too readily. I spent a lot of time in my December holidays experimenting with different bread recipes for my bread maker, and I put on a bit of weight which is not shifting. This might have something to do with the fact that this seed and oat loaf is so good that I am making it more often than I should. This month the challenge for Fresh From The Oven is to make a loaf of bread you can enjoy every day for lunches. This is it! It is crunchy and tasty and goes with any topping. It is especially good cut fresh as soon as it has cooled, but can be enjoyed toasted for as long as it lasts. So far, we have not managed to make the loaf last longer than 5 days and we are eating it every day! I love the addition of the various seeds and you can change them up to suit what you have in your pantry and to suit your tastes. I have given you a recipe for my bread maker as this is still the most time economical way of baking bread for me. what do you eat at lunch time? Ooh, that slice looks great toasted! Your bread slice looks heavenly! Yes, please! This sounds like a wonderful loaf, Tandy. We also don’t eat much bread, and I was wondering if there is way of making low-carb bread which tastes good? I wonder if I can try with spelt flour? I love seeded loaves and this one looks beautiful. And you have all the ingredients already!